Refined and stylish in appearance, this Jute garden bag ensures an eco-friendly way to grow your plants be it in your balcony or in your garden. These bags are designed in basket form and you can carry them to move from one location to another holding its two wide straps. 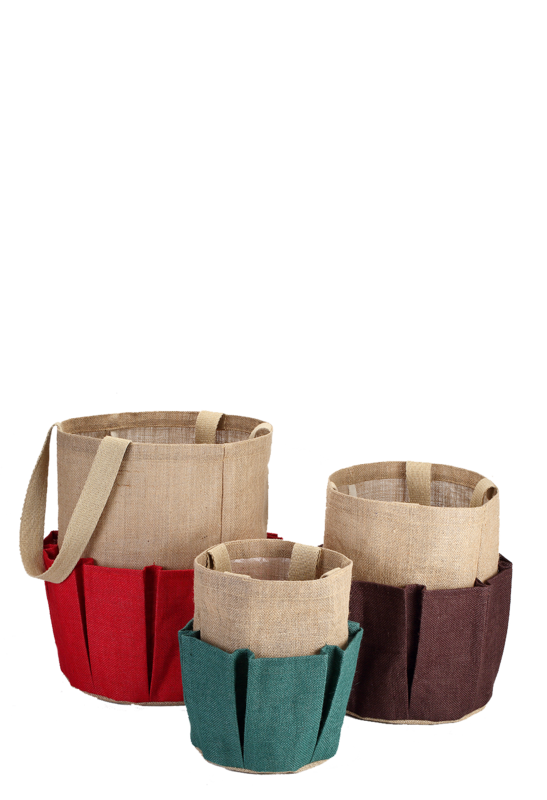 Made from Jute, these bags are bio-degradable and available in three different sizes and colors like green, coffee and red. So, grow your favorite plants in this Jute basket bag in a fashionable and elegant manner.